We spent our last day in the Tweed area going for a drive to Byron Bay. When I was younger Byron Bay was always known as a "Hippy Town" with lots of people living an alternative lifestyle. I hadn't been there for many years and was interested to see how this town had evolved. Sadly I was very disappointed as the town has grown so much it doesn't seem to have that hippy feel at all. There were so many people and so many cars I felt like I was in a city rather than a country town. A good friend of mine had also told me, if I was in this area to go and spend some time at the Crystal Castle. Thank you so much for your recommendation Vicki it was one of the most magnificent places I have ever been. Back in 1985 Naren King was inspired to create a crystal business when visiting a building that was positioned where the earths energy lines, or lay lines, intersect. After a number of years and setbacks his dream was starting to take shape. He not only created a crystal business he has created a very spiritual place indeed. 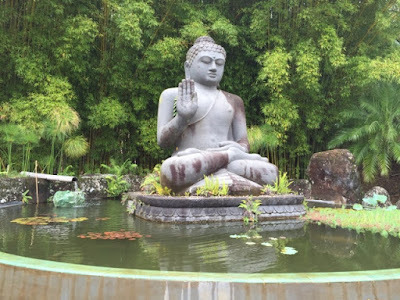 Crystal Castle and Shambhala Gardens is a private botanical gardens with thousands of extraordinary crystals, the magnificent "Fountain of Piece", a superb "Trompe l'oeil mural with two amazing amethyst geodes at its entrance. There is also a Labyrinth, a Damanhur Spiral, numerous Buddhist and Hindu statues and the most amazing Buddha I have ever seen. As you may all know I am a little partial to a Buddha!! But there is so much more as well, words cannot describe the magnificence of this place. 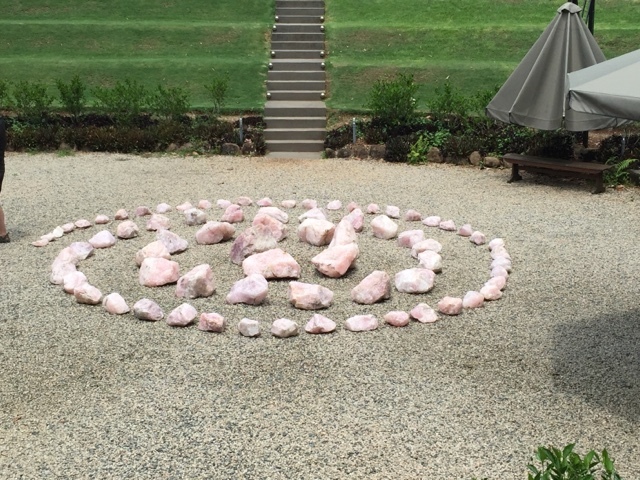 This is only a tiny example of the thousands of pieces of Rose Quartz on the property. 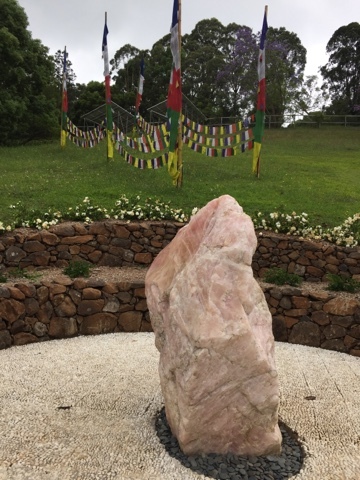 Crystal Castle is also the home of the "Kalachakra World Peace Stupa". 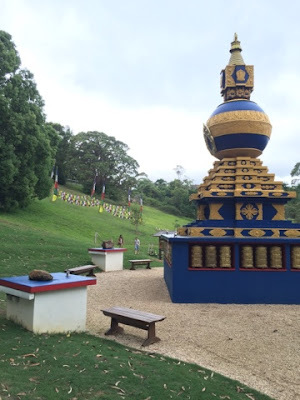 To explain what a Stupa is I have quoted what is written in the Crystal Castle brochure. "The World Peace Stupa" is an extraordinary construction both architecturally and spiritually. A stupa is a sacred monument built by the Tibetan Buddhists to represent universal divinity. These intricate structures are assembled under the precise guidance of a Tibetan Lama and every part of the design is endowed with special significance. Inside is a treasury filled with sacred objects and at the heart of the structure is the Tree of Life, a wooden pole covered with thousands of mantras written in gold. His Holiness the 14th Dalai Lama has also visited this totally amazing Stupa. 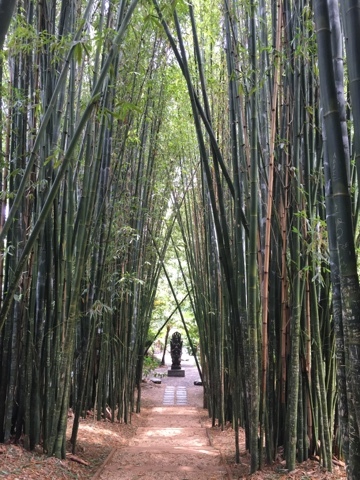 I know that if I am ever back up this way I will definitely spend some more time at Crystal Castle.